Dennis Smith Jr., a sophomore-slumping, no-defense-playing, ill-shooting guard, and a salary dump. That’s what the Knicks got back for their franchise cornerstone, the first real franchise cornerstone they’ve drafted since Patrick Ewing. 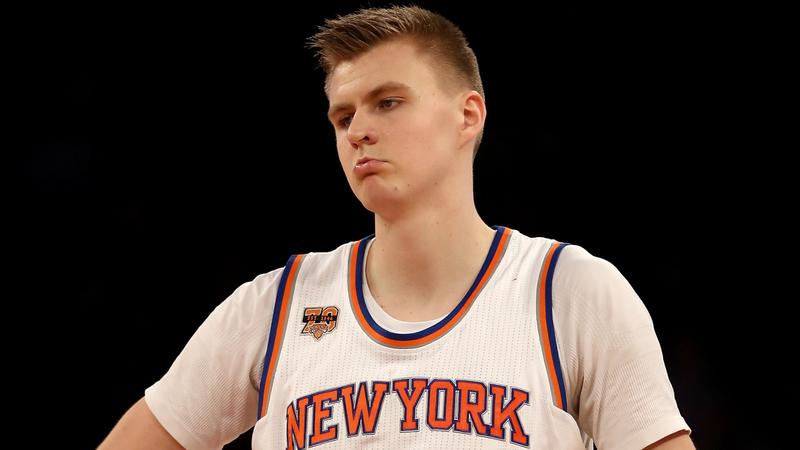 Porzingis was unhappy in New York, and preferred a trade to re-signing, according to multiple reports. However, as the day went on, more news began to come out about the trade. Sources: Dallas' draft compensation to New York in Kristaps Porzingis deal: Two future first-round picks. Even with the 1st-rounders in the equation, the trade can still feel like a swindling. Porzingis was truly a superstar, a young, home-grown superstar, that felt perfect for the modern NBA. 7’3″ tall, mobile, with a sweet 3-point shooting stroke and legitimate rim-protecting ability. 2018 Kristaps Porzingis 0.099 ? There are exceptions, but it seems clear that performance is dipping – of the 13 players, 2 saw improvement in terms of WS/48, 10 saw it dip, and 1 never played another game. It’s small sample size, but worth noting that the two that improved their numbers (Dante Exum and Nate Robinson) were both point guards, and the one whose career ended (Chris Andersen) was a center. Porzingis, of course, is one of the tallest players in NBA history, and would be by far the tallest player on this list. I’m not the first person to cite this particular concern. Some have even questioned whether there could be something wrong with his biomechanics as a whole, given that all of his injuries had been to the left side of his body, even before the ACL tear. It’s also worth noting that the Knicks have surely had the better insight on Porzingis’ injury and recovery than the Mavericks have, with him in-house throughout the process. Knowing what they knew, they felt comfortable dealing him. Even if Porzingis did return completely to form, which is, of course, a possibility, he’s far from the young, cost-controlled asset some have made him out to be. 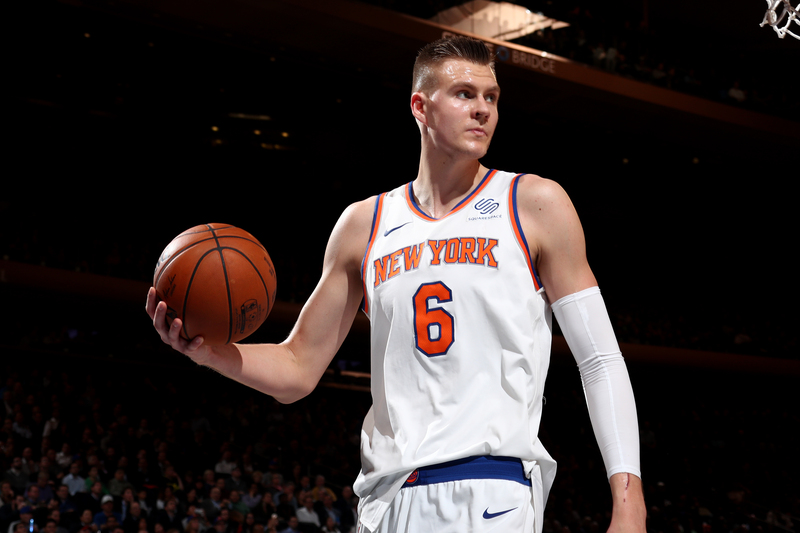 As an upcoming restricted free agent, Porzingis would have two choices: sign a max contract or something close to it (in which case he’s not exactly a cheap commodity, and could be anywhere from a fairly-priced piece to a negative asset, depending on how he looks after the injury), or sign a qualifying offer (in which case he can leave, as an unrestricted free agent, after a year). Therefore, Porzingis is neither cheap nor controlled. Regardless of his injury concerns, Kristaps Porzingis won’t be a bargain contract. Even if the Knicks knew all of this, though, it’s one thing to trade a player, and another thing to trade him for what’s perceived to be a weak return. I’m here to tell you, though, that the return here is pretty good. Dennis Smith Jr., for all his flaws, is still a 21-year old high flier with the LeBron stamp of approval (and is actually a cost-controlled, cheap asset for the next two seasons, unlike Porzingis). Then comes the salary dump. The swap of Tim Hardaway Jr. and Courtney Lee for DeAndre Jordan and Wesley Matthews saves the Knicks $31 million this offseason, and that’s not counting Porzingis’ $17 million cap hold that’s also headed to Dallas. It’s no secret the Knicks were planning on being competitive in a very deep free-agent pool this summer, and preferred to shed one or both of Hardaway/Lee in order to do it. However, the two very less than team-friendly contracts would have been very difficult to trade, and the Knicks likely would have had to give up a draft pick or young prospect in each case. Courtney Lee and Tim Hardaway Jr. weren’t bad players, but their hit on the salary cap wasn’t providing nearly enough return on investment. In that sense, dealing the two wings in this way was worth one, or maybe even two, first-round picks in value, when thinking in terms of opportunity cost. Combine that value with the two (one protected) actual first rounders the Mavs sent, and the Knicks reaped somewhere between three and four first round picks’ worth of value, plus Dennis Smith Jr., and that’s before even factoring in what they can do with their newfound cap space. Kevin Pelton, ESPN’s player value guru, gave the Knicks a B for the deal (and the Mavericks a C-, but who’s counting). I won’t get too deep into the specifics on free agency, because it’s mostly a crapshoot. It’s well-known the Knicks and their fans are lusting over such big names as Kevin Durant, Kyrie Irving, Kawhi Leonard, Jimmy Butler, Kemba Walker… the list goes on and on; all of whom will be on the market in the offseason. Thanks to this trade, the Knicks now will have the room to sign two of those stars. All indications of this deal are that Scott Perry and the New York front office are fairly confident they’ll be able to lure at least one to the bright lights of Madison Square Garden. Though nothing is certain in this respect, the Knicks have given themselves the ability to jump on those opportunities should they present themselves, something they were unable to do before this trade (unless, again, they dealt picks or players to shed Hardaway and Lee). I’ve seen many people think of the risk involved in whether or not these stars sign as a major downside of this deal, and that if the likes of KD can’t be seduced, the trade is a complete and utter disaster. I disagree – just like draft picks and cheap players, cap space is an asset in and of itself. This cap space can be used in a multitude of ways, but if none of the true star-level players want to come to New York, the Knicks don’t necessarily have to deal out a bunch of money to the remaining mediocre free agents that wouldn’t help them contend in the short- or long-term. They can think of their cap space as an advantage to be utilized – the cross-town Nets, for example, used their space to take on bad contracts in order to build a base of draft picks and young talent, like when they absorbed Timofey Mozgov from the Lakers and were able to snag D’Angelo Russell, who’s now having a career year. If some other team wants to snag a free agent, the Knicks can find themselves on the opposite end of the hypothetical aforementioned give-a-pick Hardaway/Lee deal, and add to their stable of draft picks. 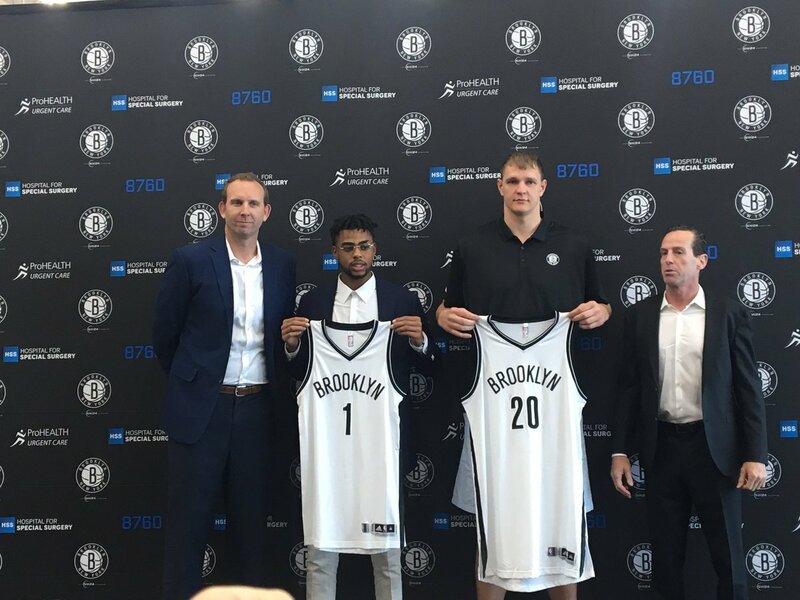 Cap space is an asset even if no one is signed, and the Nets have used theirs to their advantage. Speaking of the stable of draft picks, don’t look now, but it’s pretty significant. The Knicks still own all of their future first-rounders, and now have 2 more in this deal. They remain on course for one of the top slots in this upcoming lottery, and even if the ping pong balls don’t put Zion Williamson in orange and blue, there will another young prospect coming to the Garden this season to join Kevin Knox, Mitchell Robinson, Frank Ntilikina, and now, Dennis Smith Jr.
2017 Frank Ntilikina Dennis Smith Jr.
Their 2019 first-rounder will be guaranteed top-5 if the Knicks finish with the worst record in the NBA, which they currently own, and seem on even better course for today than they did yesterday. It might be Zion; it might not be, but the key is the Knicks are giving themselves more rolls of the dice – eventually, they’ll hit. Whoever they draft this offseason will be joined by either two max star free agents, or, depending on how the front office plays its cards, a couple of bad contracts along with even more draft capital (and those bad contracts would likely cause a tank, raising the value of the Knicks’ own 2020 pick as a byproduct). It’s a win-win, the result of amassing low-cost assets and cap space. Usually teams have to trade can’t-miss superstars to get that kind of return – the Knicks traded a very risky, and potentially expensive, player at the maybe the most replaceable position in the NBA. It hurts. I know. Kristaps was my favorite player too. I’ll miss him pulling up for 3, getting a block on the other end, and turning it into a fast break dunk. He was the Unicorn, the PorzinGod, but most importantly, he was ours. Our young, home-bred star, something the Knicks truly never have. With this deal, though, New York has given itself the chance to find a new home-bred star, or two, or three, in the next coming years. It has given itself the chance to add two All-Star level players in the offseason, while holding onto 5 cost-controlled youngsters, not to mention the potential for 7 first-rounders in the pipeline over the next 5 years. It hurts now, but the bottom line is by dealing Kristaps Porzingis, the Knicks have set themselves up for sustained success over the next few years no matter who signs in July. They’re young, they’re flexible, and they’re not committing max deals to players with enormous injury concerns who wanted out anyway. We always thought Kristaps Porzingis might be our savior. In a way, he still might be.